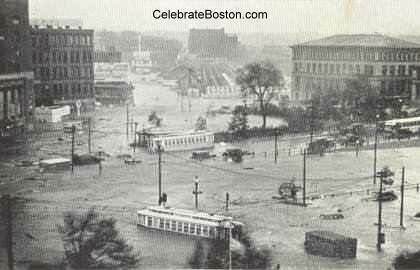 On September 21, 1938, a tremendous hurricane hit the northeastern United States. For three days the hurricane traveled north along the eastern seaboard, just offshore. Without warning, this tempest slammed the coasts of Long Island, Connecticut, Rhode Island, and Massachusetts. Six hundred people were tragically killed, making the hurricane the most deadly in history to hit the Northeast. 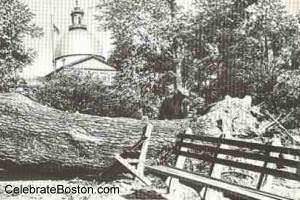 The storm immediately became known as The Great New England Hurricane. The storm traveled north at almost 50 miles per hour. At land fall, wind speeds were estimated at 115 mph in some areas. Wind gusts hit 150 mph. The result was tremendous property damage, with roofs ripped off and airborne debris thrown about with tremendous velocity. Wind speeds at Boston were about 100 mph, with significantly higher gusts. 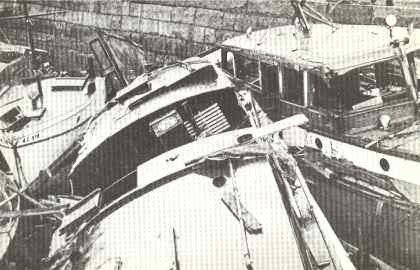 Leisure boats were tossed about in marinas, with many trees blown down. Roofs were blown off, and windows shattered by debris. The hurricane initially made land fall more than 100 miles to the south, so Boston was thankfully spared the full brunt of the storm. The most destructive consequence of the hurricane was damage caused by the storm surge. The hurricane struck at high tide, and the surge was about 12 to 15 feet greater than normal. Napatree Point, a barrier island in Rhode Island that had many vacation homes, was washed flat by the surge. Misquamicut Beach in Westerly Rhode Rhode was also washed clean, and about 100 people lost their lives in this area alone. Downtown Providence was flooded with several feet of water, as Narragansett Bay acted as a funnel for the storm surge, concentrating its energy. Due to the tremendous rainfall from the storm, areas of Hartford on the Connecticut River and more than 35 miles inland from the coast, were also flooded.